In 2011, I hiked the UK's Coast to Coast trail, which is a 190 mile route that crosses three National Parks on it's way from the Cumbrian coast to the North Yorkshire coast. Towards the end of the hike, the weather turned and we walked for the last three days in rain, which was often torrential. On the first of these days across the Cleveland Hills, we stopped for a break in a cafe where there were numerous Coast to Coast hikers sheltering from the appalling conditions. As we sat in the steamy atmosphere of the cafe, drying off and enjoying hot drinks and food, I realised that all of us, without exception were soaked to the skin. This was despite the fact that we were all wearing waterproof clothing, mostly Goretex, from various reputable manufacturers, ranging from mid-range brands to the most expensive. It occurred to me then that for all the manufacturers claims that none of the so called 'waterproof' clothing was coping with the amount of water being thrown at it. Sure, some of it was undoubtedly sweat that was building up - this was July after all - and not escaping through the sodden garments but that wouldn't account for the totally saturated base layers and wet trousers under the waterproof over-trousers. It was during these three days that I realised that 'waterproof' is a nebulous term. Despite the manufacturers claims, no garments can keep out water for long if enough is thrown at it for sustained periods. There are many ways that water gets under waterproof gear, through sleeves, necks, over the tops of boots, zips, and also through the outer layer of a waterproof item that is wetting out. Of course, gear manufacturers are keen to talk about the need for proofing their clothing so the water beads up and rolls off allowing the fabric to perform at it's most 'breathable'. This is another term that is bandied about my the manufacturers but again this is a nebulous term. A breathable garment will still get wet inside if the conditions are 'right' and the amount of perspiration overloads the fabric. One of the biggest problems with multi-day hiking in bad weather is wet boots. Boots with a 'waterproof' membrane, once soaked, take an age to dry so you are likely to be putting on damp or wet boots each day unless you are fortunate enough to have access to drying facilities. After I returned from the Coast to Coast walk, I began questioning the accepted 'wisdom' of hiking in full waterproof gear and waterproof hiking boots. I began reading various blogs on the internet and was surprised to discover that many other hikers had come to similar conclusions to myself, particularly with regard to footwear. The days of long distance hikers clomping around in heavy leather, goretex lined boots, are being challenged by a new wave of lightweight hikers who appear to have come to the same conclusion that I had. When walking in the rain just accept that you are going to get wet! Based on my experiences on the Coast to Coast and what I had subsequently read, I recently put this theory to the test while hiking the Pennine Way. This 268 mile National Trail is the countries oldest trail and has something of a reputation as being an arduous slog through endless, featureless peat covered bogs where it virtually always rains. This coupled with the fact that fell walking legend, Alfred Wainwright, when writing his guide to the trail had a torrid time with the conditions, only added to this negative reputation, which in my opinion, having now walked it, is totally unwarranted. I had decided that for the hike, I would walk in non-waterproof, trail running shoes with fairly thin, quick drying socks. I would also walk in lightweight, quick drying shorts and take no waterproof trousers as I now really do not like walking in long trousers, having walked solely in shorts for a number of years. 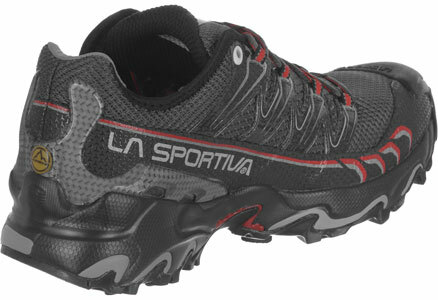 I had purchased some La Sportiva Ultra Raptors for the Pennine Way, which weigh in at around 340 grams per shoe, meaning I would be lifting far less weight with each footstep than if I had been wearing leather boots. During the walk, the weather was mostly fine to start with but we did have a morning of heavy rain on the fifth day when I got my first chance to try out my theory. 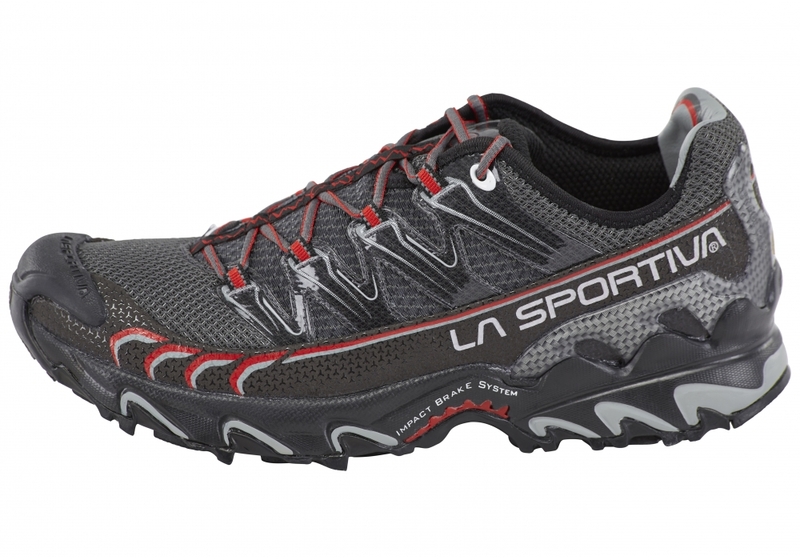 My feet were very quickly wet but after the initial 'strangeness' of water filling the shoes I soon got used to it and could see the excess water draining through the top of my La Sportiva Ultra Raptors. The idea is that the rain, though it can easily get in, can also easily drain out and it appeared that this is exactly what was happening. Once the rain stopped, my feet very quickly began to dry out and during the afternoon, which turned dry and sunny, my trails shoes also dried out. This was a revelation as it meant that I was going to finish the day with dry feet and shoes. The ultimate test came on the last day of the Pennine Way, a marathon 25 mile yomp across the Cheviot Hills from Byrness to the end of the walk in Kirk Yetholm. Shortly after setting off at 5am, the rain started and continued for most of the 10.25 hours that it took me to finish the hike. It rained heavily virtually all day and my feet were wet almost from the start. I squelched my way through wet peat bogs most of the day and waded through puddles that swamped the paved sections and when I dropped down off of the hills into the valley, my feet and lightweight shorts dried as I hiked along the tarmac into Kirk Yetholm. 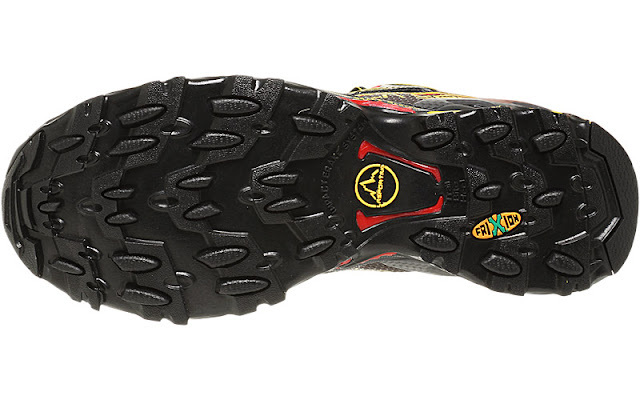 The Ultra Raptors provided me with 268 miles of quick drying comfort and this method of dealing with walking in rain will now be my default setting. I much preferred simply getting wet and then quickly drying without having to put on wet boots each day or having wet trousers flapping around my legs . At the end of each day on the trail in the campsites, other walkers tended to their blisters while I suffered no such problems. Of course, this approach will not be suitable for walking in colder, winter conditions but this could easily be resolved by the addition of short, goretex socks or returning to leather, goretex boots. The Ultra Raptors were a delight to wear being extremely comfortable and lightweight with a sturdy, grippy sole and I liked them so much that when I returned back home, I returned to the outdoor shop where I had purchased them and bought a second pair that I found reduced by 30% in the sales.